Winner of a 2014 IPPY Independent Publishers Silver Medal and finalist in nonfiction for a Maine Writers & Publishers Alliance Literary Award. 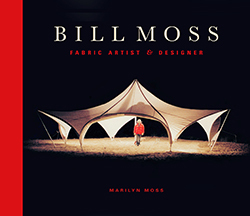 Bill Moss: Fabric Artist & Designer traces the life and work of one of America's most innovative fabric artists and designers, a pioneer in the creation of tension fabric structures. Sena Jeter Naslund (author, Ahab's Wife) writes "the beauty of the tents and fabric structures is simply breathtaking...the book as a whole creates an exciting transcendent aesthetic and intellectual experience for the reader-viewer, it creates lives and art all at once." Paul Smith (director emeritus of what is now the Museum of Art & Design in New York) "...this is a beautiful publication that portrays Moss' innovative concepts for portable structures and celebrates his illustrious life and career." Judge, 24th Annual Writer's Digest Self-Published Book Awards "This is a stunningly beautiful book, both in its contents and design...The most striking part of the book is in the photographs of Bill Moss's fabric designs...It's the photography that dominates the book, but the elegant writing never detracts." will someone please find MY POULET? 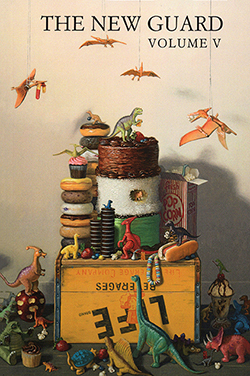 Just nominated for a Pushcart Prize, this essay is a celebration of food, a recollection of childhood and a cooking class with Julia Child. 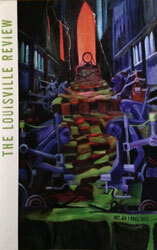 How Bill Moss revolutionized fabric architecture and redefined our concept of home. The evolution of the tent as shelter from prehistoric times to the present. An article based on an interview in 2009 with the former president of Malawi, Joyce Banda. 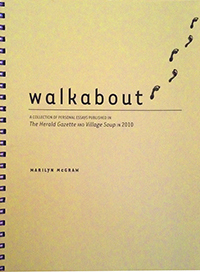 A compilation of personal essays that were also published in The Herald Gazette and online at VillageSoup.com. An essay on Cumberland Island.